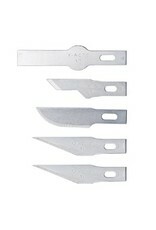 The X-ACTO #1 Assorted Replacement Blades set is the ultimate set for the hobbyist, artist or designer. Featuring 2 #11 blades, 1 #10 blade, 1 #16 blade and 1 #17 blade, this set makes an excellent starter kit and is a great gift idea! 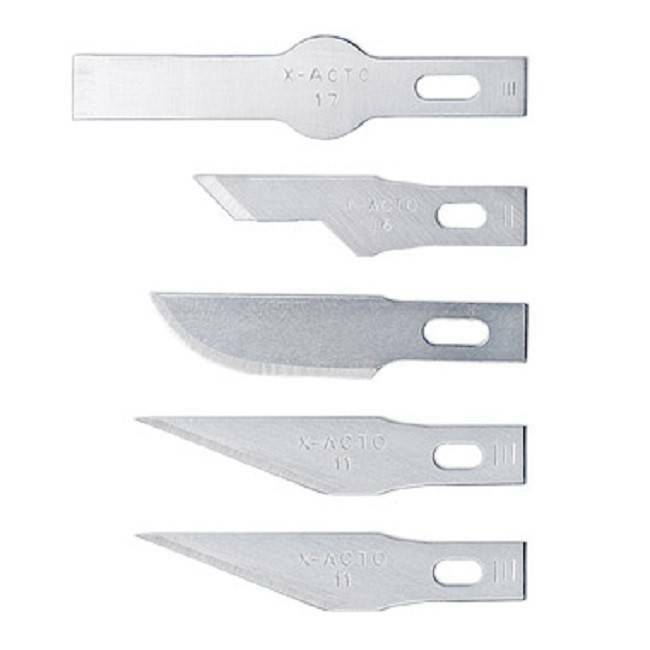 X-ACTO #1 assorted replacement blades are designed to allow you to make the careful and detailed cuts you need time and time again. Our blades are created with care and exceptional craftsmanship, producing a cutting edge that stays sharp. An X-ACTO quality blade is always ready when you need it.